(FOXnews)This amazing image on Google Earth could be the elusive proof that the Loch Ness Monster exists. Sun reader Jason Cooke spotted "Nessie" while browsing the Web site's satellite photos. The shape seen on the surface of the 22-mile Scottish loch is 65ft long and appears to have an oval body, a tail and four legs or flippers. Some experts believe Nessie may be a Plesiosaur, an extinct marine reptile with a shape like the Google image. "This is really intriguing. It needs further study," said researcher Adrian Shine, of the Loch Ness Project. Sightings have been claimed for centuries. To see the object, enter co-ordinates Latitude 57°12'52.13"N, Longitude 4°34'14.16"W in Google Earth. Real or fake? If real why didn't Google Earth speak up? Nessie are you out there? Show yourself, call, write, jump in a boat. Do something. My take: a boat cruising by. Nessie is a great money maker but I lean towards that she is nothing more than a tale. What's your take on Nessie? 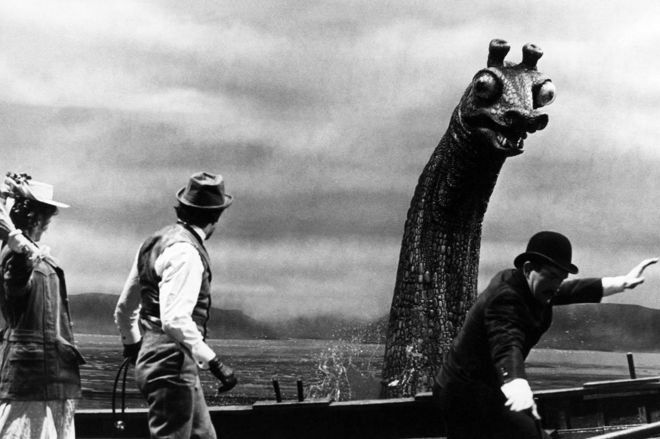 Re: Proof That the Loch Ness Monster Exists? A distant cousin of the famous Nessie? Scotland has its very own prehistoric marine reptile — and, no, we're not talking about Nessie, the mythic Loch Ness monster. 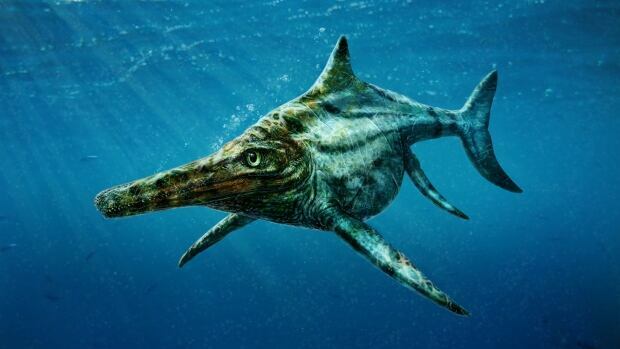 Scientists have announced the discovery of the fossil remains of a dolphin-like seagoing reptile on Scotland's Isle of Skye that lived about 170 million years ago and was about 4.3 metres long. The creature, named Dearcmhara shawcrossi, is a member of a group called ichthyosaurs that were among the dominant marine reptiles when dinosaurs ruled the land. Ichthyosaurs, some of which reached monstrous proportions rivaling all but the largest of today's whales, thrived for more than 150 million years until disappearing about 95 million years ago. Wouldn't want that at the end of a fishing line, then again it would have fed a lot of people. The beast was created for the Billy Wilder-directed The Private Life of Sherlock Holmes, starring Sir Robert Stephens and Sir Christopher Lee. It has been seen for the first time in images captured by an underwater robot. Loch Ness expert Adrian Shine said the shape, measurements and location pointed to the object being the prop.